To order, please click here to download our Notecard order form in PDF format. To order wedding selections, please click here to download our Wedding Selection order form. 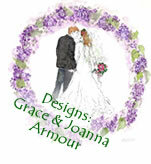 If you would like our Wedding Pamphlet complete with order form, please click here to download a PDF version.